"The fact that he is a president, he still has his rights. Compelling him to come out and talk will be infringing on his rights. The president will talk if he wishes to if he doesn’t wish to, nobody will compel him to talk. The truth is that the president is on vacation and he has given a date on which he will return to work" he said. "‘The President is in London on vacation. He is not in any hospital and he is not ill. 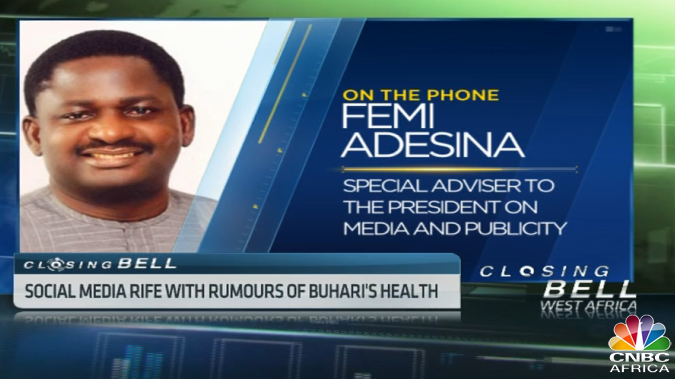 When he was travelling last week, the statement we put out was that he was going on vacation and during the vacation, he would do routine medical check-up and nothing has changed from what we pushed out last week. If anybody has fed something else into the rumor mill that is just what it is, rumor. No substance to it" he said.